Apple's popular handset may soon be joined by other "iPhone"-branded products in Brazil, as regulators have ruled that the company does not own the exclusive rights to the trademark in that country. Brazil's National Industrial Property Institute (INPI) recently rejected Apple's claim to exclusivity on the iPhone trademark, confirming earlier reports that it was preparing to do so. Apple will now share the iPhone brand with Gradiente Electronica, a Brazilian company that registered the iPhone name in that country seven years before Apple. Apple had been arguing in the case that it should have exclusive rights over "iPhone," since Gradiente  even though it has held the trademark since 2000  did not release a product using the moniker until December of 2012. The INPI pointed out that its decision applied only to handheld electronics. Apple retains exclusive rights to the iPhone brand for t-shirts, publications, and software. Also, Apple can continue to sell its smartphone products in Brazil. Gradiente, though, does have the option of suing for exclusivity over the iPhone brand. 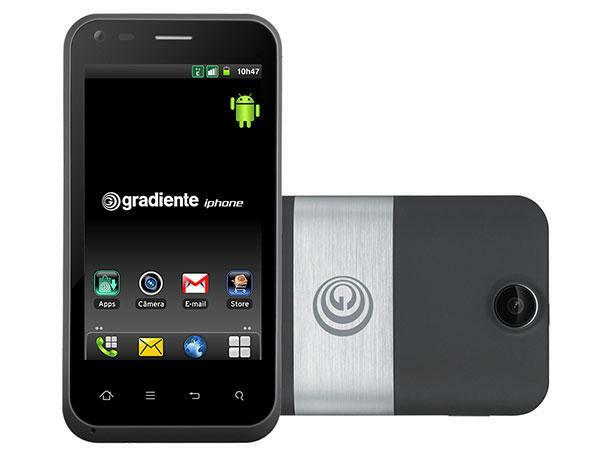 Gradiente's iPhone is an Android-powered device that launched in December of 2012. Earlier this month, representatives from Gradiente told reporters that Apple had not contacted them regarding the trademark dispute. Speaking with Bloomberg, chairman Eugenio Staub declared his company's openness to discussion. "We're open to a dialogue for anything, anytime," he said. "We're not radicals."